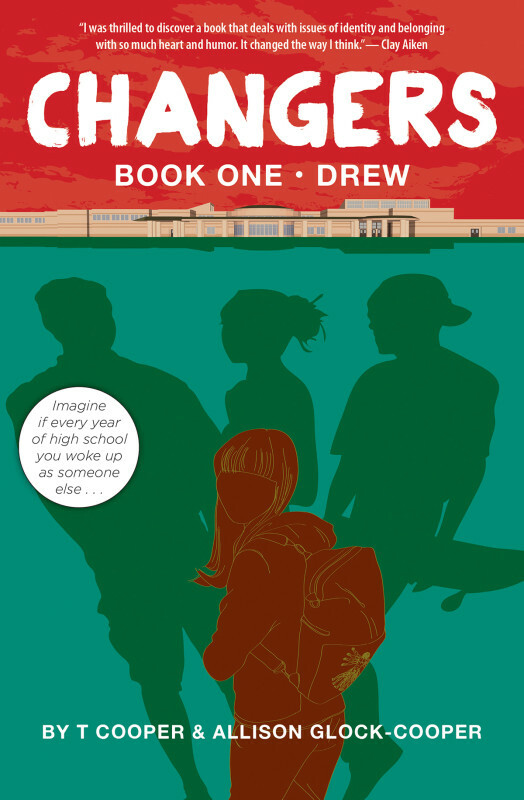 Changers Book 1: Drew, by T Cooper & Allison Glock-Cooper (book review) – new school, new year, new body? No one can know you are a Changer or see your secret mark. No warning that everything in life is about to change… except your true self. In a new body for first day of high school, Ethan can’t even skateboard right! Why didn’t his parents warn him that he could wake up a girl? At least he’ll get to try 4 identities in 4 years before deciding which body to keep forever as he finds his personal mission to change the world (yes, really). Black Sheep is one of Akashic Books’ newer imprints, so you may have to ask your favorite local local library or independent bookstore to order this first Changers book, but it’s worth the wait! To feel a little of Ethan/Drew’s experience, visit the WeAreChangers website and post your ‘unselfies’ where your camera captures your feelings without looking at you. Poet e. e. cummings wrote “it takes courage to grow up and become who you really are” – how much courage do you and Ethan have? Book info: Changers-Book 1: Drew / T Cooper & Allison Glock-Cooper. Black Sheep, 2014. [interview with authors] [publisher site] [book trailer] Review copy and cover image courtesy of the publisher. My book talk: Ethan wanted to reinvent himself to start high school, not wake up in a girl’s body! Dad and Mom are so proud that he is a Changer – getting a new body each year of high school (like Dad did – who knew?) to discover his/her true inner being. Changers are destined to make the world better, in secret, despite the Abiders who want to wipe them out. Most girls have years to get used to their bodies; Ethan/Drew has an hour. Her first day at school brings a Changer mentor, catty girls, overwhelming emotions, and a possible friend. Cheer tryouts, drumming in a band instead of the basement, all the Changer rules, discovering an Abider at Central High, and dealing with having girl parts – this freshman year is too intense! Can Drew trust anyone at school? Has she let any clues slip to alert the Abider there? Who on earth will s/he be for sophomore year? ← Vengeance, by Megan Miranda (book review) – cursed lake, who dies next?